When you ask people what impacts health you'll get a lot of different answers: Access to good health care and preventative services, personal behavior, exposure to germs or pollution and stress. But if you dig a little deeper you'll find a clear dividing line, and it boils down to one word: money. People whose household income is more than $75,000 a year have very different perceptions of what affects health than those whose household income is less than $25,000. This is one key finding in a poll conducted by NPR, the Robert Wood Johnson Foundation and the Harvard T.H. Chan School of Public Health. One third of respondents who are low income say lack of money has a harmful effect on health. This is the case for 29-year-old Anna Beer of Spokane, Wash. She lives with her husband in the basement of her father's house. Beer got laid off from her job as a nanny last summer. Now she is attending college in the hope that she will get a better than minimum-wage job when she graduates. Beer's husband earns $10 an hour working at a retail store. "This is probably the most poor we've been," Beer says. When she was working, Beer could afford to buy fresh fruits and vegetables and chicken from the local farmer's markets. Now she buys canned and frozen vegetables, which are cheaper but not as healthy. "They've had preservatives added to them, a lot of times salt that's just not good for you," she says. Poor diet and financial stress have had a huge impact on her health, Beer says. Her migraines are worse and her health has deteriorated. It's frustrating, she says. "I know what the cause of it is, but I can't fix it. It's hard." One in 5 people in our poll say they are in a similar position — low paying jobs or unemployment harms their health. And there's research to back this up. Kate Strully, a sociologist at the University at Albany, State University of New York, studied what happened when healthy people were laid off following a plant closing. 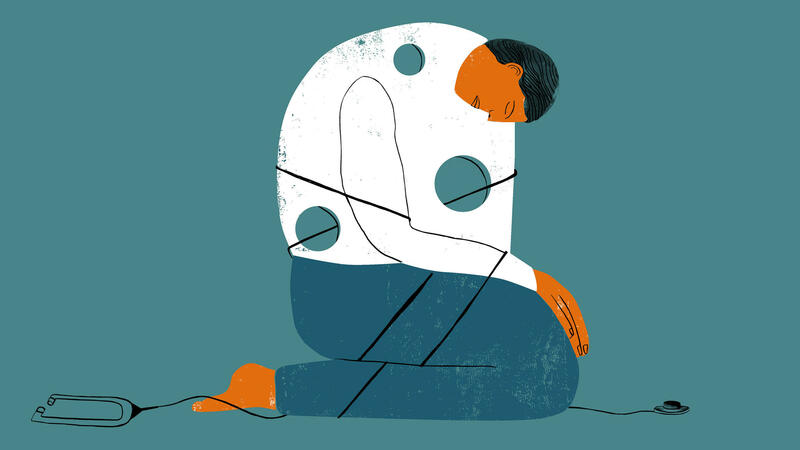 She found that losing a job increased the odds of developing stress-related health conditions by 83 percent — conditions like stroke, heart disease, diabetes and emotional or psychiatric conditions. Another social fact that affects health is housing. Forty percent of the low-income people in our poll say bad housing causes bad health. Uzuri Pease-Greene says this is true for her family. 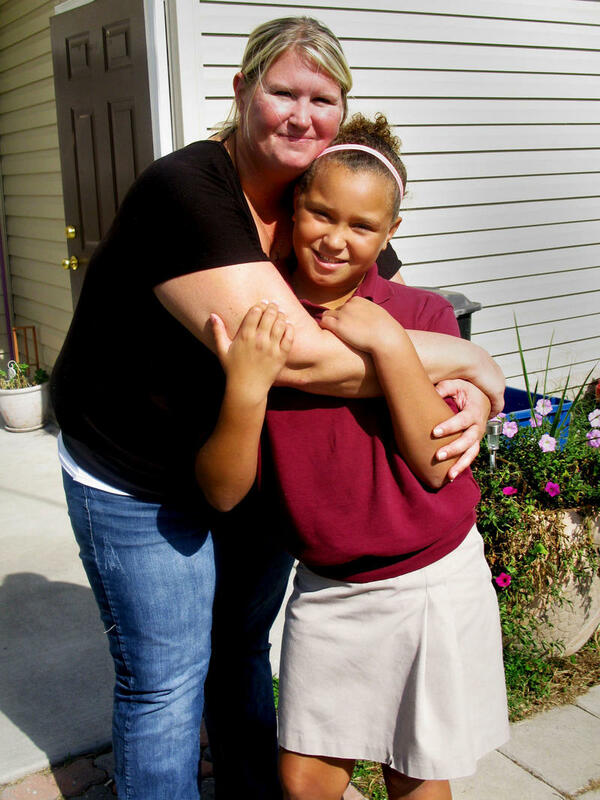 She rents a small two-bedroom apartment with her husband, two daughters and a grandchild in a public housing complex in San Francisco. When something breaks, she says it takes years to get it fixed. Ovens don't work, there are holes in the walls, the water doesn't work or there's a sewage backup. 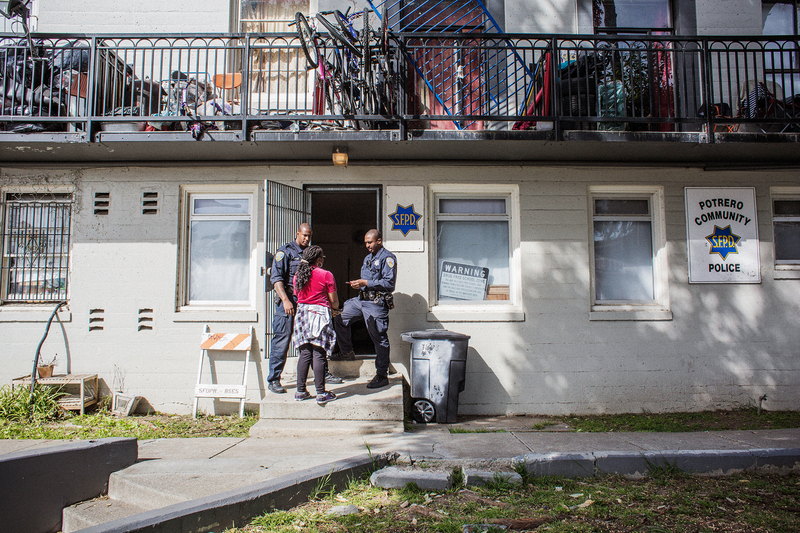 Uzuri Pease-Greene talks with two police officers in the public housing complex in San Francisco where she lives. Then there is the constant stress of the neighborhood. "You have shootings, stabbings and break-ins," Pease-Greene, 49, says. "People with their music up at all times of the night, people arguing, fighting, fussing, people using dope, being drunk." She worries about her 4-year-old granddaughter growing up in this environment. 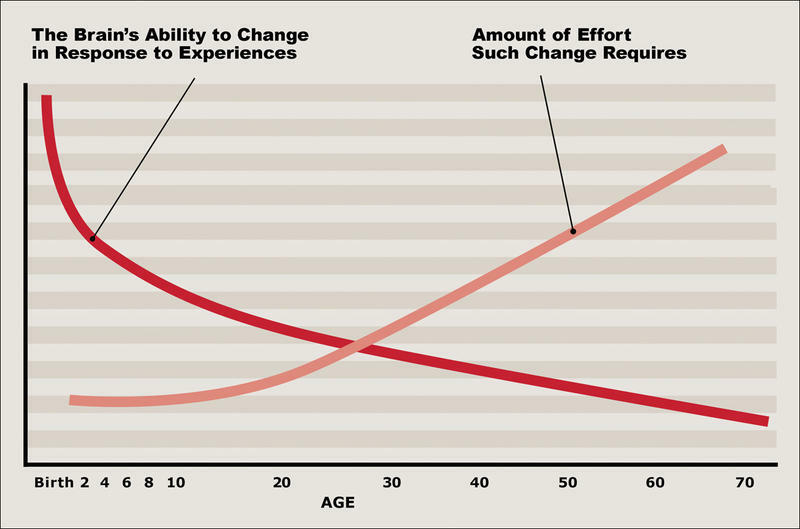 The impact of childhood experiences on adult health is another surprising finding in our poll. More than any other factor in childhood, people say abuse and neglect contribute to poor health in adults. This is what happened to Daniel, who is 65 years old and lives in San Diego. We agreed not to use his full name because he worries about losing his job. When he was about 8 years old and his sister was 4, "I walked in to the dining room and my mother was beating my sister with a big old wooden spoon," he says. "My mother's just wailing on her, telling her she's a dirty little girl and a pig." It turned out Daniel's sister had gone across the street to the grocery store. A man touched her inappropriately and she told her mother. When he saw his sister being beaten, Daniel started crying. His stepfather said, "I'll give you something to cry about." And he started "beating the hell out of me too, so there we were — that's our Sunday — not untypical at all." By the time he was 12 years old, Daniel says, he was smoking cigarettes and drinking alcohol. He started doing drugs after getting out of the military, all to nearly unbelievable extremes. On any given day, seven days a week, Daniel says he drank 12 to 18 beers, a half bottle of whiskey and smoked two to four packs of cigarettes a day. Daniel traces his addictions to the abuse he suffered as a child. And by the time he reached his 50s, Daniel's health problems were severe. He was 60 pounds overweight; he had high blood pressure, high cholesterol, liver damage, lung damage and diabetes. But nothing was as overwhelming as the emotional burden. "Have you ever seen a dog that's been beaten and abused?" he says. "You raise your hand and the dog will cower." Daniel was finally diagnosed with PTSD when he was in his mid-50s. It was a relief, he says. With the help of talk therapy he learned to manage his symptoms. He quit smoking, rarely drinks and has lost weight, exercising four times a week. And life is finally tolerable. Today in Your Health, we're going to look at health a little differently. We often talk here about how people interact with doctors and hospitals and get new treatments. But social factors, like how much money we earn and the behavior of our family and friends, also play a hugely important role in health. NPR conducted a poll about some of those issues, along with the Robert Wood Johnson Foundation and the Harvard T.H. Chan School of Public Health. We're calling it "What Shapes Health." This week, we'll hear several reports based on the poll's findings. We begin this morning with NPR's Patti Neighmond. PATTIE NEIGHMOND, BYLINE: Our poll finds most Americans know good health depends on a lot more than seeing the doctor on time. It also depends on personal behavior, exposure to germs or pollution and high stress. But when you dig a little deeper, you see a clear dividing line and it boils to one word - money. Those making more than $75,000 a year have very different perceptions of what affects health than those making less than $25,000, people like 29-year-old Anna Beer. ANNA BEER: I'm getting out my split pea soup. I had half of it yesterday. NEIGHMOND: Beer's making lunch at home in Spokane, Wash.
BEER: From a can - not homemade. NEIGHMOND: She agrees with one-third of those who are low-income lack of money has a harmful effect on health. BEER: This is probably the most poor we've been (laughter). NEIGHMOND: Beer responded to an NPR Facebook posting about the poll. She lives with her husband in the basement of her father's house. She's going to college now in the hopes of getting a better than minimum wage job. Her husband works at a retail store. BEER: Living on just his income - he's working full time. Like, 10-something an hour, which is above minimum wage, which is nice, but it's not enough to make things work. NEIGHMOND: And not enough to pay for healthy, nutritious food. BEER: The canned vegetables and the frozen vegetables are not nearly as healthy as fresh and what not. They've had preservatives and stuff added to them, and a lot of times a lot of salt that's just not good for you. NEIGHMOND: But they're cheaper. When Beer was working as a nanny - she got laid off last summer - her salary along with her husband's meant they could buy fresh fruits and vegetables and even fresh chicken from local farmers markets. Beer says that made a huge difference in her health. BEER: My migraines that I had went from maybe two or three a month to maybe one every couple months, which is amazing. I've never had that happen before. NEIGHMOND: The migraines are back now. And Beer gets tearful talking about how frustrating things have become. BEER: My health is deteriorating, and I know what the cost of it is, but I can't fix it. It's just hard. NEIGHMOND: A feeling reflected in our poll - 1 in 5 people say they're in a similar position and that low paying jobs or unemployment harms their health. There's research to back this up. Kate Strully, a sociologist at the State University of New York, Albany, studied what happened when healthy people lost their job as a result of a plant closing or relocating. KATE STRULLY: Losing a job increased the odds of developing a new stress-related health condition by 83 percent. STRULLY: Hypertension, stroke, heart disease, heart attack, arthritis, diabetes and emotional or psychiatric conditions. NEIGHMOND: Another social factor that affects health - housing. Forty percent of those low-income people in our poll say bad housing causes bad health. This concerns Uzuri Pease-Greene. She rents a small two-bedroom apartment with her husband, two daughters and a grandchild in a public housing complex in San Francisco. When something breaks, she says, it literally takes years to get it fixed. UZURI PEASE-GREENE: Some people have been sitting with their oven not working or there's holes in the walls or this window won't open or this water doesn't work or there's sewage backing up. NEIGHMOND: Toxins and pollution that can worsen asthma and all types of respiratory illness. And then there's the constant extraordinary stress of the neighborhood. PEASE-GREENE: You have shootings. You have stabbings. You have people breaking into people's houses. You have people with their music up all times of the night. People arguing, fighting, fussing, people using dope, people being drunk - you have all of that here. NEIGHMOND: And she worries about her 4-year-old granddaughter growing up in this environment. What happens in childhood is a dramatic finding in our poll. People say they believe poverty, a poor diet, inadequate immunization and pollution all contribute to poor health in adulthood. But more than any other reason, people cite child abuse and neglect. And this is what happened to Daniel, who doesn't want his full name used because he worries about his job. His story is heartbreaking. This is an average day, he says, when he was about 8 years old and his sister was 4. DANIEL: I walked into the dining room of our home. And I heard my sister crying, and my mother just beating her with a big old wooden spoon. And my mother is just wailing on her and telling her she's a dirty little girl and she's a pig. NEIGHMOND: It turned out Daniel's sister had gone across the street to the grocery store. A man had touched her inappropriately and she told her mother. DANIEL: I'm standing there. I start to cry and the old man grabs a hold of me and says - my stepfather - and says, well, you want to cry? I'll give you something to cry about. So he starts beating the hell out of me, too. So there we are - that's our Sunday - it's not untypical at all. NEIGHMOND: By just 12 years old, Daniel was smoking cigarettes and drinking alcohol. He started doing drugs after getting out of the military, all to nearly unbelievable extremes. DANIEL: Any given day, seven days a week, I drank 12 to 18 beers, along with about a half a bottle of Crown Royal. And I smoked two to four packs a day. NEIGHMOND: For decades, Daniel traces his addictions to the abuse he suffered as a child. And by the time he reached his 50s, his health problems were severe - 60 pounds overweight, high blood pressure, high cholesterol, liver damage, lung damage and diabetes. But Daniel says none of this was as overwhelming as the emotional burden. DANIEL: Waiting for the other shoe to drop always 'cause there's always going to be one. Have you ever seen a dog that's been beaten and abused? You raise your hand, the dog will cower. NEIGHMOND: Daniel sought therapy for years. Eventually, he was diagnosed with PTSD, which was a relief, he says. Years of therapy helped him manage symptoms. He quit smoking, rarely drinks and lost weight. At 65, he exercises four times a week and now life is finally tolerable. We'll be reporting more this week on childhood trauma like this that affects people's health later in life, as we continue to look at what shapes health. Patti Neighmond, NPR News. Transcript provided by NPR, Copyright NPR. Negative childhood experiences can set our brains to constantly feel danger and fear says psychiatrist and traumatic stress expert Bessel van der Kolk. He's the author of the recently published book, The Body Keeps the Score: Brain, Mind, and Body in the Healing of Trauma. 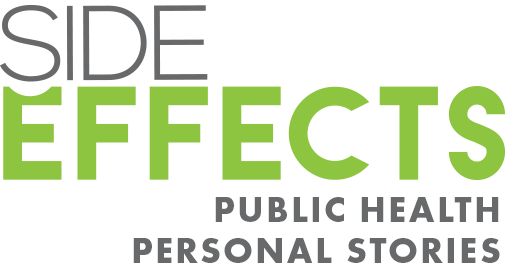 Side Effects Public Media is a reporting collaborative focused on public health. Find more of our reporting on childhood trauma and PTSD here. A report by the University of San Diego School of Law found that about 686,000 children were victims of abuse and neglect in 2013. Traumatic childhood events can lead to mental health and behavioral problems later in life, explains psychiatrist Bessel van der Kolk, author of the recently published book, The Body Keeps the Score: Brain, Mind, and Body in the Healing of Trauma. Children’s brains are literally shaped by traumatic experiences, which can lead to problems with anger, addiction, and even criminal activity in adulthood, says van der Kolk. Side Effects contributing producer Barbara Lewis spoke with him about his book. Go around the country and you'll hear lots of frustration about just how difficult it is to get out of poverty — and more importantly, how to stay out. The official U.S. poverty rate may have gone down to 14.5 percent in 2013 according to new numbers out Tuesday, but still more than 45 million were poor. Hundreds of thousands of children suffer from neglect, abuse and trauma during their early years. Many of the psychological consequences are well known, but it’s becoming increasingly clear just how damaging they are to the developing brain. Today in the final part of our series from WBUR called “Brain Matters: Reporting from the Frontlines of Neuroscience,” Iris Adler looks at a key issue in brain development: the biological consequences of early childhood neglect and trauma.